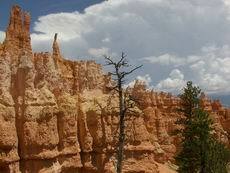 Bryce Canyon National Park is a Bucket List Top Five! Bryce Canyon is a Bucket List item for Every RV'er . 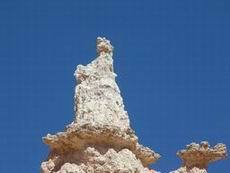 Imagine visiting a city full of skyscrapers, called Hoodoos, made of colorful stone! Anyone who has flown in an airplane from coast to coast has probably flown over this magnificent park. However, how many of us have actually seen it up close and personal? 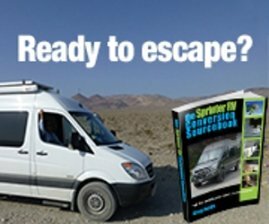 Wow, it is the kind of experience you'll never forget! 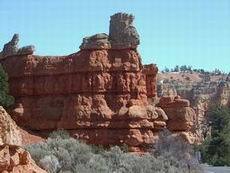 Just the entrance to the area from the west-side brings you through Red Canyon - a preview of what's ahead! The red and orange colors making up so much of the stone against a crystal clear actual blue sky is just incredible! The sky may have clouds, but they will quickly disperse because of the mountain winds. Then, the blue sky just takes over. It is totally smog and haze free. For anyone that has lived on either the east or west coast, that alone will be a spectacular treat! The rocks of the canyon are unique in so many ways! They are massive, balanced on little pebbles, form really cool shapes and look like a bunch of big city skyscrapers made up of multi-colored rocks instead of steel! Sure, there are plenty of mountains around the country with rocks that look nice - this will take your breath away! 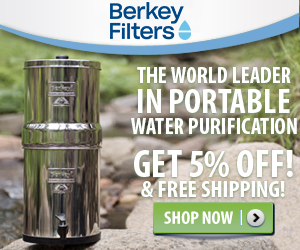 Plan on spending several days there if you do any type of hiking. The trails are great - gradual elevation change only, short trails to severe changes and lengths of the trails. 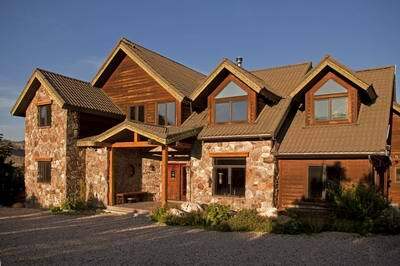 Bryce Canyon will have it all. You can also take a horseback/mule ride throughout many areas of the park. The park only closes on Thanksgiving and Christmas Days! Gives you a hint as to how popular and beautiful it is! 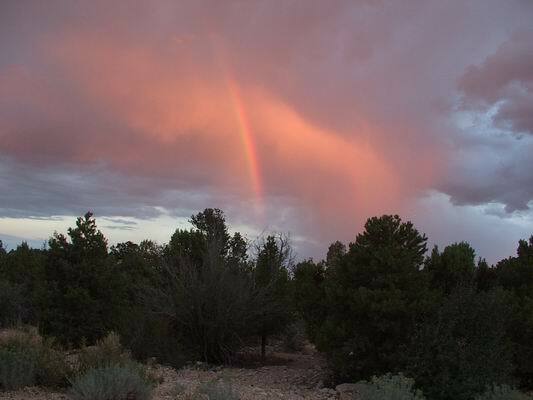 There is a large NPS RV Park within Bryce itself or several other campsites close by. If you want to turn in your driving shoes for some relaxation, check in to - the Stone Canyon Inn. Between their great restaurant and wonderful atmosphere, you'll be all recharged and ready to start driving again! 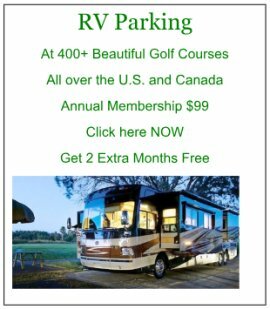 There's even plenty of room to park your RV while enjoying a nice comfy private bungalow or a spacious cabin for a re-union with friends, fellow RV'ers or relatives! 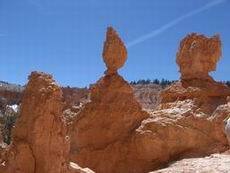 After visiting Bryce, be sure to allow enough time to visit the Grand Staircase area and Kodachrome. 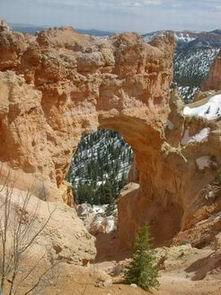 They are both a short drive from Bryce Canyon and so worthwhile! 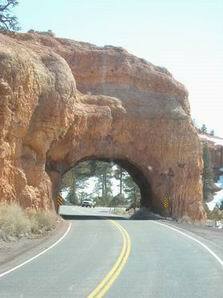 Plan on going to Kodachrome first (A Utah State Campground within the park) and then spend a few days in the Grand Staircase on your way to Capital Reef (NPS Campground) and then the Arches! You'll never be the same again!! 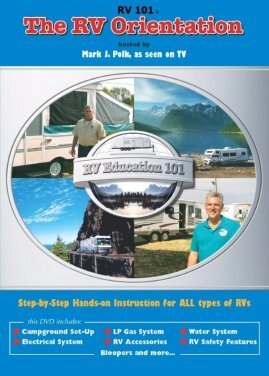 Read all about these great locations in our RVing Utah Webpage! Definitely a Bucket List Destination!